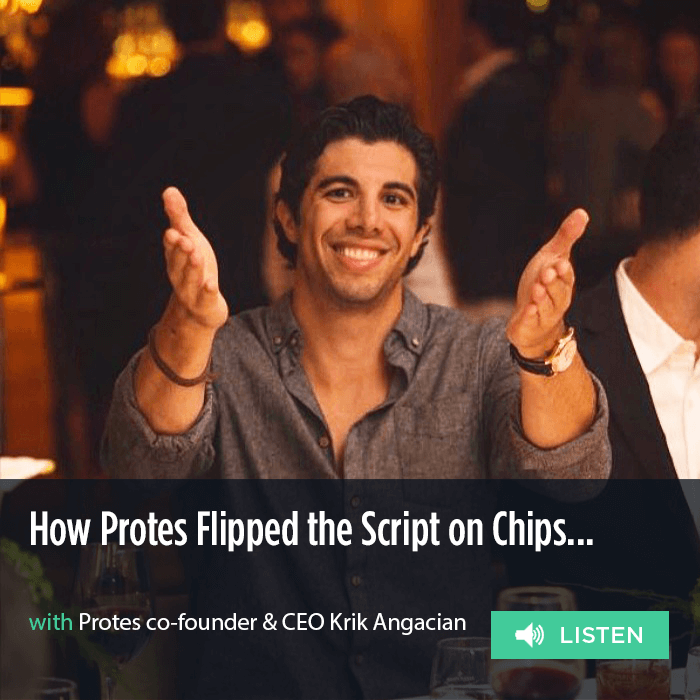 This week on Brand Builder: Protes, the pea-protein infused chip that’s pushing the envelope when it comes to functional food. Co-founder and CEO Krik Angacian is a self described “no-B.S. guy” – and that trait actually shows up in the brand. Protes is all about transparency. They don’t claim to be anything other than what they are – a great tasting, better-for-you functional product, packed with high quality protein. It also showed up in this interview, in the form of practical, no-B.S. tips for growing your business – like Krik’s low-budget tactic to learn exactly who your customer is. He also explains us why you should listen to everyone, but why success ultimately depends upon forging your own path. Oh… and check out their new look!